Police arrested three Christians on charges of “abetment of a thing” in Hubli, after Hindu extremists verbally abused them and seized tracts from them on June 21. The Global Council of Indian Christians (GCIC) reported that at about 2:30 p.m. Pastor Manju Nath and two Christians identified only as Stella and Bhavani from the Indian Church of Christ were distributing gospel tracts when the Hindu extremists began shoving them and using foul language. They also seized money from them before calling police, who took the Christians to the Durgadabail police station, according to the GCIC. After having the charge against them filed under Section 107 of the Indian Penal Code, the Christians were released later that evening with the intervention of Christian leaders. Madhya Pradesh – Police took hold of two Christians identified only as Pastor Arjun and a local church member identified only as Rakesh while they were leading a prayer meeting on June 21 in Pati, Bhalwani district. The Global Council of Indian Christians (GCIC) reported that about 75 people had gathered for the prayer meeting when police arrived and took the duo into custody without giving any reason. The Christians were later released without charges the same day, according to the GCIC. Madhya Pradesh is ruled by the Bharatiya Janata Party, an ultra-nationalist party that supports the Hindu extremist Sangh Parivar, said to be responsible for frequent anti-Christian violence. Karnataka – Police accused a pastor of forceful conversion after receiving complaints of alleged forceful conversion in Muddebehal, Bijapur on June 18. The Global Council of Indian Christians (GCIC) reported that a policeman identified only as Pawar visited the church of pastor Manjappa Byadayi from Salvation Gospel Church and began leveling allegations that there had been many complaints of “conversion activities.” The officer told them to report to the police station with all information about their activities. Pastor Byadayi and his wife reported to the station, where police accused them of forcible conversion of Hindus to Christianity and told them that they must stop the alleged activity immediately, according to the GCIC. 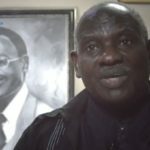 Officers ordered the Christians to close down and leave their church building, and that if they did not they would have to report their activities to the police station daily. Orissa – Armed Hindu extremists attacked an evangelist who goes by the single name of Baidhar on June 15 in Mitrapur village, Makhapada Block in Balasore district, seriously wounding him. The Global Council of Indian Christians (GCIC) reported that the extremists lit upon Baidhar while he was returning home from a prayer meeting at a Christian’s home in the village. Baidhar was bleeding heavily when rescued by Christians and taken to a nearby hospital, according to the GCIC. 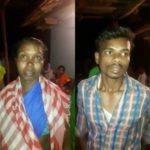 When the radicals learned that the evangelist had been rescued, about 50 Hindu extremists mounted an attack on 12 Christian families at 8:30 p.m., seriously injuring about 20 of them. They also ransacked their houses and tore the clothes of some of the young women. The Christians approached officials for help, the GCIC reported. Assam – Armed Hindu extremists attacked Christians in Deopani village, South Kampur district, on June 9, sending three Christians to a hospital with serious injuries. 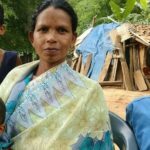 The Global Council of Indian Christians (GCIC) reported that Hindu extremists had threatened to forcefully reconvert Manesor Rabha and his family to Hinduism, so he had taken shelter in another Christian’s house. Area Christians Michael Rabha and Prashanto Rabha had volunteered to guard Manesor Rabha’s house, but at midnight about 40 armed assailants took the two guards and Manesor Rabha’s wife, Mala Rabha, to a village establishment and interrogated them in an insulting manner, according to the GCIC. The extremists demanded that they renounce Christ and tried to force them to sign blank papers. When the three did not respond to their interrogators, Michael and Prashanto Rabha were repeatedly kicked and beaten. 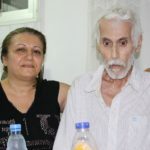 GCIC reported that a blow to Michael Rabha’s left eye with a large flashlight seriously wounded him. Prashanto Rabha was hardly breathing after the assault, and the extremists also injured Mala Rabha before returning the three to her house and threatening further abuse if they reported the assault to the police, according to the GCIC. The next morning, the three Christians were admitted to Satribari Christian Hospital in Assam with serious wounds and complications. Two other families have also fled from the village. Assam – On June 8 in Narayanpur village, South Kamrup, Hindu extremists beat Christians and tried to force them to reconvert to Hinduism. The Global Council of Indian Christians (GCIC) reported that the Hindu extremists beat Bharat Rabha, Srimanto Rabha, Batiram Rabha, Matiram Rabha, Jyotish Rabha and Rubul Rabha on the street after dragging them from their homes. The frightened Christians were told to renounce Christianity and to forget about Jesus. The extremists compelled Hindu villagers to take oaths that no Christians would be allowed to enter or remain in their homes in the village, according to the GCIC. Police have visited the site and registered a First Information Report against the attackers. On the same day in nearby village of Deupani, Hindu extremists forced Bhageswar Rabha, Durgeswar Rabha and Rana Rabha to return to Hinduism along with their families after beating them up and looting their properties. Assam – On June 6 in Deopani village, Kamrup, Hindu extremists demolished three houses belonging to Christians, as well as a place of worship. Sources told World Watch Monitor that the enraged extremists threw Bhageswarn Rabha, Rana Rabha and Motiram Rabha out of their homes and destroyed the structures. The extremists also cut down their vegetation and looted their grains, cattle and poultry. The Christians fled the area in fear. Chhattisgarh – Hindu extremists unaffiliated with any radical group disrupted a funeral service and beat Christians on June 6 in Bacheli, Dakshin Bastar, resulting in the hospitalization of nine people. The Evangelical Fellowship of India (EFI) reported that at about 8:30 a.m. the extremists, armed with sharp-edged weapons and clubs, shouted anti-Christian slogans as they stormed the funeral service attended by about 100 people from the Bastar for Christ Movement Church. The assailants threatened the Christians and beat them repeatedly. In order to thwart the burial of the deceased, a 19-year-old identified only as Soni, they filled the grave. Loved ones buried the corpse in Bacheli town, as police were unable to provide security for burial in the village, according to the EFI. Police registered a First Information Report against the attackers – identified only as Rawa, Hunga, Sona, Budhru, Bhima, Tokudu, Somaru, Urra, Kamo and Bojji – but no arrests were made. Chhattisgarh – In Beltokri, Gariyaband, about 20 Hindu extremists disrupted the Sunday worship service of an independent house church led by pastor Ankush Bariyekar on June 3. The Evangelical Fellowship of India (EFI) reported that the extremists suddenly barged in and verbally abused, threatened and beat the Christians meeting in the house of Santosh Sahu. Pastor Bariyekar and another Christian, Ram Sahu, were injured, according to the EFI. The Christians opted to file no complaint. Himachal Pradesh – State police ordered a pastor to vacate his home and confiscated his ministry identity card on May 25 in Ghumarwin, Bilaspur, after Hindu extremists from the Rashtriya Swayamsevak Sangh stormed into a prayer meeting he was leading and beat another Christian. The All India Christian Council (AICC) reported that about 40 extremists barged in and stopped the prayer meeting led by pastor Jai Masih Topno. Police arrived about 15 minutes later and took Topno and three other Christians, two women and a man, into police custody. Police did not register a case against them but ordered Topno to vacate his home within two days and leave the area, according to the AICC. Police told Topno he could recover his identity card after he vacated his residence. Andhra Pradesh – Suspected Hindu extremists burned a church building in Shelanagar, Vizag on May 24. The All India Christian Council (AICC) reported that the Seyonu Prarthana Mandhiram church building in Shelanagar was burned after local leaders pressured Christians to vacate the land. Some local leaders, claiming the church land belonged to them, had been pressuring the church to vacate the property. Narendra Babu, the leader of the local leaders, had started fencing the land around the church building to forcibly stake his claim, according to the AICC. The church pastor filed a police complaint, and two weeks later the church building was damaged in the fire. Assam – On May 23 in Loharghat, Hindu extremists dragged Christians from their homes and took them to their office quarters, where they verbally abused and slapped them and threatened greater harm if they did not renounce Christ. The next day, the extremists went from home to home in search of the Christians. They summoned them to their office again and threatened to reconvert them back to Hinduism by driving them to a Hindu temple and forcing them to observe Hindu rituals. They also threatened to attack local churches. Mirza police visited the spot that day. Assam – Hindu extremists from the Dakhin Kamrup Student Union, along with the Rabha Hindu communities of Tulsibari and Jharapata, attacked Christians on May 22 in Tulsibari village, Kamrup district. Sources reported that at about 1 p.m. the extremists dragged the Christians out of their homes to a public meeting and threatened to expel them from their homes – or kill them – if they did not leave Christianity. 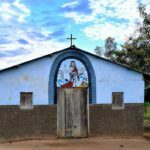 The extremists then beat two Christians, including an unidentified widow, and tried to force them to sign a blank paper before hundreds of Rabha tribal witnesses. The paper would then be filled in with pledges that would supposedly reconvert them back to Hinduism. Christians who did not agree to reconvert back to Hinduism were told to leave the village within one day. Assam – Enraged Hindu extremists stopped 10 newly converted Christians who were returning home from a Sunday worship service on May 20 in Jharapata village, South Kamrup, and beat them after questioning them about their activities. A source reported that the extremists threatened to harm them further if they did not renounce Christ. Besides abusing the Christians verbally, the extremists interrogated them about local Christian leaders who told them about Christ. The extremists harassed the Christians for about five hours, the source said.